When Brian Johnston was a schoolboy, his reports were full of phrases such as 'talks too much in school' and 'apt to be a buffoon'. Later millions of radio listeners would be delighted to discover that some things never changed! Johnners brought his unique wit and personal charm to an enormous range of BBC radio and television programmes for nearly 50 years, from In Town Tonight and Down Your Way to Test Match Special. 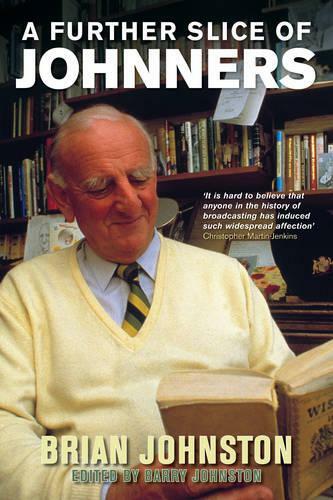 After Brian died in 1994, Christopher Martin-Jenkins wrote: 'It is hard to believe that anyone in the history of broadcasting has induced such widespread affection'. A Further Slice of Johnners covers Brian's early days, from his childhood in Hertfordshire and his schooldays at Eton and Oxford to his job in the family coffee business in the City and his service with the Grenadier Guards during the Second World War. There is also a selection of the most memorable characters and locations from his fifteen years on the Radio Four programme Down Your Way. Finally there is a collection of Brian's popular 'View From the Boundary' interviews on Test Match Special, including fascinating conversations with Eric Idle, John Major and Peter O'Toole.